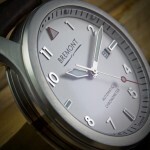 I just saw this on Bremont’s Facebook feed (social media advertising works people!). 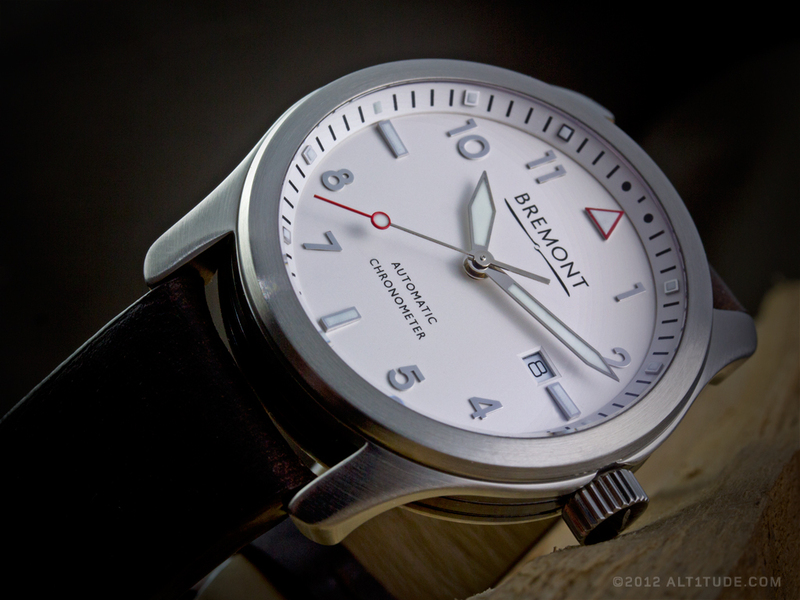 This piece came in under the radar when it was announced along with a barrage of other Bremont pieces. 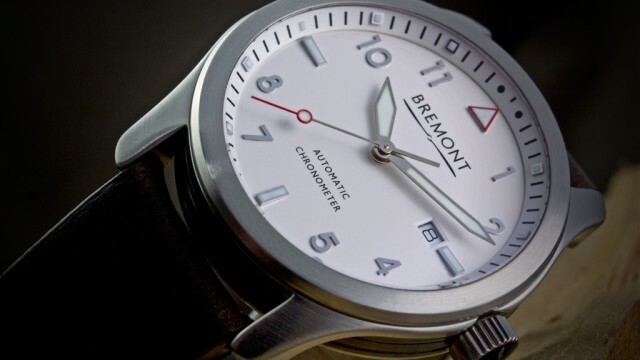 The Solo is one of Bremont’s more moderately priced lines akin to IWC’s Mark series of 3 hand pilot themed watches. 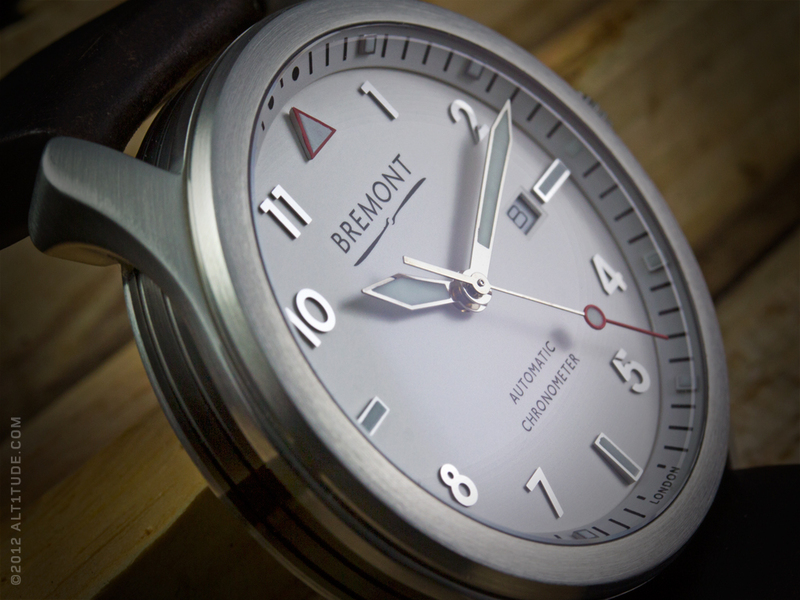 The Solo features Bremont’s Trip-Tick case which provides an elegant side profile and features the same C.O.S.C. 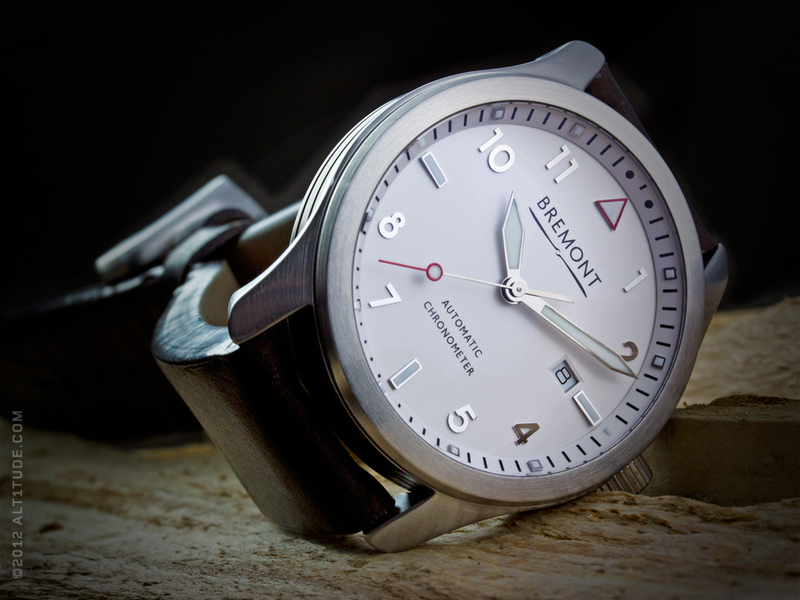 certified automatic movement you’ll find in the Bremont MB2. 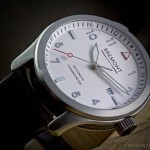 It is one of the thinner watches (fits better under a shift cuff) on Bremont’s chunky line of sports watches. The currently available black Solo comes in two variants, the markers can come in white or in a faux vintage color. 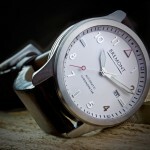 The white Solo comes with raised markers reminiscent of the IWC Spitfire line. The three-dimensional indices spark a flashy bit of visual interest to the dial without going overboard. If the black Solo is a bow tie, the white Solo is a full Windsor knot. Taken as a whole, the white variant of the Solo with it’s raised markers, modified chapter ring, and egg shell white dial is an entirely successful contemporary interpretation of the classic pilot watch style.